Occupying a much LARGER than average CORNER PLOT GARDEN and NO ONWARD CHAIN, we have a MUCH IMPROVED 2 bedroomed end terrace house which is well located in a QUIET CUL DE SAC and benefits from uPVC double glazing, gas radiator central heating, re fitted kitchen, lounge/dining room, 2 generous bedrooms, re fitted family bathroom, huge corner plot garden and off road parking for numerous vehicles. 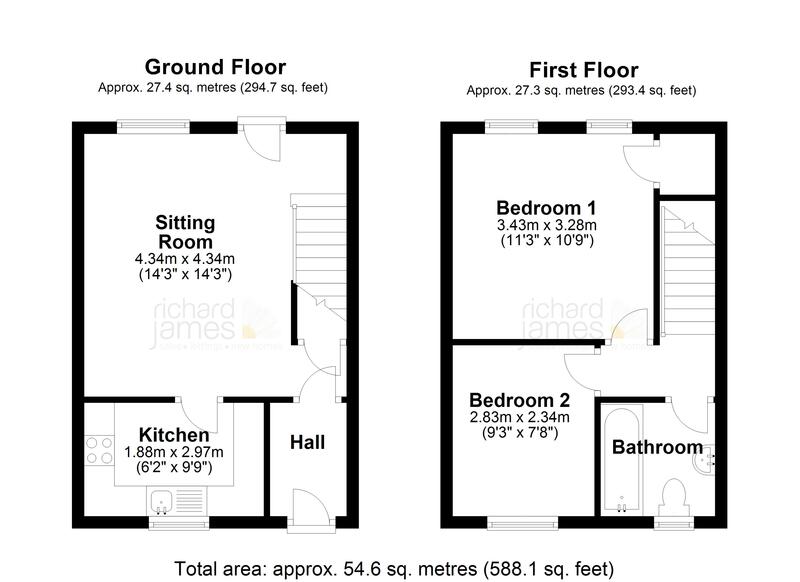 The property is well located for all local amenities shops, schools etc Lydiard Park and M4 J16. VIEWING IS HIGHLY RECOMMENDED by the vendor's sole agent.